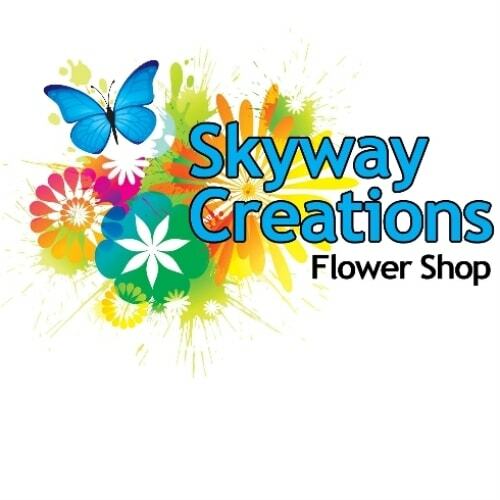 Skyway Creations Flower Shop and Greenery has been your fresh flower experts in Colorado Springs since 1970. We are family owned and operated with one location serving the Colorado Springs area. Exquisite fresh flowers and quality of design are our trademarks. Our imaginative company may fulfill all your floral request. We are continually testing the boundaries by utilizing the best flowers available and creation a mood, if you will, no matter the occasion. As premier special event decorators, we are renowned for magnificence in every detail. Because all of our customers are important, our professional staff is dedicated to making your experience a pleasant one. That is why we always go the extra mile to make your floral gift perfect. Let Skyway Creations Flower Shop and Greenery be your first choice for flowers. *Our shop is open Monday through Friday from 8:00 a.m. to 5:00 p.m., and from 8:00 a.m. to 4:00 p.m. on Saturday. We are closed on Sundays. To help assure on-time delivery during the busy holiday season, place your order at least one day prior to the following major holidays: Thanksgiving Day, Christmas Day, New Year's Day, Valentine's Day, Easter, Administrative Professionals Week, Mother's Day, Memorial Day, Father's Day, Independence Day and Labor Day. Our shop will always be closed on the following holidays: Thanksgiving Day, Christmas Day, New Year’s Day, Easter, Mother’s Day, Memorial Day, Father’s Day, Independence Day and Labor Day. If you have any questions or need more information, please contact us by e-mail at info@skywaycreations.com or call us toll free at 866-632-2661 or locally at 719-632-2661. We're always here to serve you and make your flower-sending experience a pleasure.